WACO, Texas – No. 24 Baylor (10-8) went 1-1 in the opening day of the Red Desert Classic. After a four-run win over Southern Utah behind a pair of home runs, the Lady Bears were run-ruled by Notre Dame in five innings. It was a home run party for the Lady Bears as Kassidy Krupit and Taylor Ellis each smashed a homer in Baylor’s win over Southern Utah. With runners on first and second, Krupit blasted her fifth home run of the year to give the Lady Bears a 3-0 lead. After Southern Utah plated a run in the third, Taylor Ellis gave Baylor some insurance with a two-run blast over the center field wall, marking her second homer of the season. Southern Utah had only two base runners the whole game as Regan Green allowed only two hits with no walks. She also finished with 11 strikeouts which tied her career high. Baylor took an early 1-0 lead as a single by Lou Gilbert scored Nicky Dawson who led things off with a triple. The Lady Bears finished with seven hits. Three different Lady Bears finished with multi-hit games – Goose McGlaun (2-for-3, Southern Utah), Lou Gilbert (2-for-3, Notre Dame) and Madi O’Neal (2-for-2, Notre Dame). 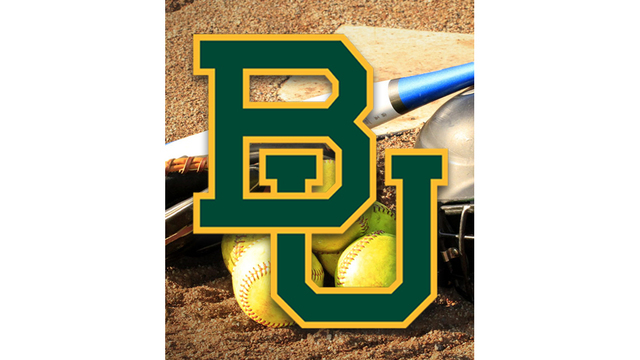 Baylor had four extra-base hits – a double by Taylor Ellis, a triple by Nicky Dawson and two homers by Kassidy Krupit and Ellis. Regan Green gave up zero walks against Southern Utah. 11 – Number of strikeouts Regan Green finished with to match her career high (Central Arkansas, 2016). She faced 22 batters.